Countless ways to enjoy every day. From the library featuring a range of literary favorites and a large touch-screen computer to a 10,000 sq. ft. fitness center and day spa to two acres of lush gardens and a movie theater, every day at The Mather is a new adventure. Discover how we create Ways to Age WellSM and see what makes The Mather a Life Plan Community truly unlike any other. The Mather is an all-inclusive destination where you can plan for someday, and live for everyday. Explore the services, amenities, wellness programs, and multiple levels of care that are incorporated into one predictable monthly cost. 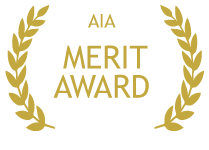 In the Design for Aging Review, sponsored by LeadingAge and the American Institute of Architects, The Mather received a Merit Award, the highest award given that recognizes outstanding projects.